In this interview with PREMIUM TIMES, first-time novelist Abubakar Adam Ibrahim – winner of the BBC African Performance Prize, the Amatu Braide Prize for Prose; a Gabriel Garcia Marquez Fellow (2013) and Civitella Ranieri Fellow (2015) – lays out the influences that have shaped his world view, and his hope of possibly winning the grand prize. PREMIUM TIMES: Most debut novels almost predictably reveal much of the facts and situations from the author’s lived experiences. How true is this with regards to Season of Crimson Blossoms and Abubakar Adam Ibrahim? Abubakar: I have always been conscious not to write myself into my stories. I am a very private person. 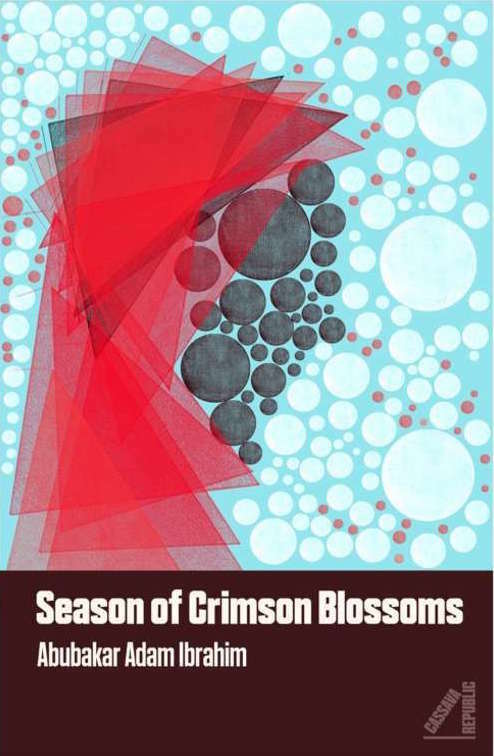 Season of Crimson Blossoms is personal to me in the sense that in a way it is my love letter to Jos, the city where I was born, where I got everything and lost them all; a city very close to my heart. But Jos has suffered a decade of unrestrained violence, with neighbours and friends turning on each other in inexplicable acts of barbarity. We used to call them “kururuwar Shaidan” or the Devil’s wail. And in all those years of violence, there hasn’t been any notable arrest of the politicians and tribal leaders who instigated this violence; there hasn’t been any kind of closure for the people who lost their loved ones or their possessions in Jos. So when I wanted to write a novel, I wanted to write about Jos, not from the perspective of who attacked who and how; I didn’t want to rationalise and justify anything, I wanted to write about the people who have suffered these violence, who have witnessed it and lost their homes, like myself, or their loved ones and how they are trying to piece together their lives after these had happened to them. That is why the book is dedicated to Jos, not because it is wholly set in Jos, but because for some of these characters, like me, we carry Jos in their hearts. So like Binta Zubairu, and her niece Fa’iza in the novel, I have been compelled to relocate from Jos by the violence. I suppose that is where the connection between me and the characters end. The story as a whole is completely removed from my person and my experience. I did not want to write for the western gaze where poverty and violence become characters on their own in the “African story;” where they become the central focus. I wanted to write about people who live their lives in spite of poverty, or affluence and violence, as we do live our lives in reality. PREMIUM TIMES: Most commentaries on your fiction, beginning from your collection of short stories The Whispering Trees to your debut full length novel Season of Crimson Blossoms, have remarked about the imaginative and linguistic flights of fancy. In your fictional world, the inventive is deliberately made to downplay the historical, why this? Abubakar: I hardly think this is true. Season of Crimson Blossoms is deeply rooted in social realism; it addresses the issues in our society, in our culture, in our daily lives. It occupies itself with the background issues that shape the way some people think and behave, to the extent that I think it is a mirror for the North to look at and see itself – warts, dimples and all. At the same time, I want it to be a window for everyone else to look at the North and understand some of the social realities this massive region and its people face. I am a writer, not a propaganda agent and my principal loyalty is to my art and its aesthetics. So even though in Season of Crimson Blossoms I faced social reality head on, probing and interrogating it, I am also conscious that, first and foremost, I’m an artist and my principal reason for writing is to tell an engaging story. With The Whispering Trees, I allowed myself some liberties because most of the stories in that collection were written at the height of the Jos crises. I wasn’t ready to confront that reality at the point of writing that book, so yes, the stories there offered some kind of escape. By the time I got round to writing Season of Crimson Blossoms, I think I was ready to confront the reality and I wanted to see it in a different way from the regular run off the mill story of ethno-religious crisis in Nigeria, and your typical story of violence. PREMIUM TIMES: How do you create fiction at the very point of reality’s unremitting unrealness? Is it not a betrayal of the writer’s responsibility to support life when he concentrates entirely on creating beauty at the expense of being a patient and faithful witness to the truth of things, tragic things, around him? Abubakar: Reality in Nigeria is often stranger than fiction. If anyone doubts that, read the newspapers, read blogs and other online news sources. We read the stories of billions in public funds disappearing into private pockets daily and it is the same hungry, socially and emotionally abused Nigerians who will come out to defend these thieving public figures because “she is our tribes woman” or “he is our party man”. It is here that we read in newspapers about birds falling out of the sky and transforming into women. How do you explain that for a decade of politically instigated violence in Jos, not a single person has been convicted for those crimes? In the 21st Century? Sometimes realities’ unrealness – and this I have experienced both as a citizen and as a journalist – is so stunning that it is inexplicable, and as a fiction writer, it falls to us to give context to this inexplicability, to probe and interrogate the stuff that this our irrational reality is made of. Like the great Chinua Achebe said in a seminal essay of his, the duty of a writer is not to compete with the newspaper headlines for topicality but to explore the human condition. The newspapers are ugly enough, the writer should find a more beautiful way of exploring these realities with debt. It is what artists do; we take ugly things and make them beautiful so you can actually look at them and see the essence of these things and why they can be so ugly and beautiful at the same time. PREMIUM TIMES: Would you say your characters in Season of Crimson Blossoms effectively convey the intended authorial vision in our too familiar season of crimson blossoms, so to speak? Abubakar: I think it would be presumptuous of me to make such bold claims. I think that is the duty of the readers and critics. My duty as a writer is to write, which I have done. I shouldn’t be the player and the referee. I will let the critics determine this. PREMIUM TIMES: It has been said that you are also at your best when you evoke the long unrepresented Northern Nigerian environment in your fiction. Is this deliberate? Abubakar: One can’t be the best unless he is pitted against something or someone else. If I am at my best at these evocations, as you say, then it suggests I have attempted other types of evocations. There has to be a basis for comparison, not so? But yes, Nigeria has produced incredible writers and a growing body of impressive works, but that narrative has been largely unbalanced because a huge chunk of the country, with its diverse people and cultures and identities, have not been sufficiently captured. And this is a region and a people that have been grossly misunderstood and stereotyped simply because they haven’t shared their stories with the world in a language that the world – and the world here begins with the man across the Niger – can access. I deliberately chose to set my stories in the North, to capture the human condition, in the hope of contributing to the balance of the Nigerian narrative. But essentially, what I hope to do the most is to capture our common humanity regardless of tribe, race, religion and identity. That if you remove the veil, replace the name, deep down, we share the same universal concerns as humans. Perhaps we are witnessing the start of some kind of renaissance, which is in keeping with the renaissance we are experiencing in Nigerian literature as a whole. What is certain is that we are aware of the changing dynamics that are shaping our country as a whole and the North, especially, where these sparks start from. PREMIUM TIMES: Is it correct to say that you seemed to have followed an emerging trend in serious Northern Nigerian writing in directly thematising identifiable historical experiences around the region. And I refer to Helon Habila’s Measuring Time, Richard Ali’s City of Memories, E. E.Sule’s Sterile Sky. Abubakar: The writer is not removed from the society from which he sprung. And if our literary cravings lead us elsewhere, deep down we are haunted by the things that affect our societies, our homes, because to be a writer one has to be sensitive. Helon Habila is an amazing writer but his writing has not been confined to geographic entities like the North. Oil on Water for instance is set in the Niger Delta. My friend Richard Ali has been more conscious, I think, of addressing the imbalance in the Nigerian narrative. His City of Memories is inspired by the upheaval in Jos as well. E.E Sule’s Sterile Sky also draws from his experiences in the riots in Kano when he was growing up. And of course we cannot go on without mentioning Elnathan John and Born on a Tuesday. Perhaps we are witnessing the start of some kind of renaissance, which is in keeping with the renaissance we are experiencing in Nigerian literature as a whole. What is certain is that we are aware of the changing dynamics that are shaping our country as a whole and the North, especially, where these sparks start from. Over centuries, conflicts have shaped how the world looks today and we are conscious that the many crises in the North are reshaping not only perceptions of self but also the social and political geography of the region and by extension, of Nigeria as a whole. There has to be a documentation of this moment, not just a record of the violence and riots and the number of causalities that the newspapers have been doing, but a documentation of the context as well. It would be a shame if two centuries or three from now, when we become the brand new ancients, our lives are excavated and all people will see is the damage we inflicted on ourselves. They should also see that even in these times, we loved and laughed, cried and comforted ourselves; that we mourned our losses and dreamt and experienced beautiful things; that we lived, not only as victims of the times, but as lovers, as dreamers, as humans. It has fallen to us, as writers, as artists, to write our stories, not just for the now, but for posterity as well. PREMIUM TIMES: Specifically, can you give more clarity to how your growing up in Northern Nigeria has impacted on the fictive world you’ve created in Season of Crimson Blossoms? Do you see yourself as a Northern Nigerian writer who must tell the Northern Nigerian story? Abubakar: Who appointed me the voice of the North? If such an office exists, I wouldn’t want to take it because such labels are restrictive to a writer and one thing I know is that you can’t shackle creativity. You have to let it roam as it wills. I see myself as a writer. I don’t feel obliged to tell the Northern Nigerian story. If at all there is any obligation, I feel it is to tell the human story. I am particular about how despite social, cultural, racial and religious differences, the human species is connected at some level and my greatest pleasure has been to see people in Kaduna, in Enugu, in Oxford and Berlin connecting with these characters and their stories. My loyalty as a writer is to my art, not to any particular geographical construct; I have never allowed that to limit me. When I think, I think as an individual, as a human. But growing up in the North, of course, has had enormous influence on who I am. There is a history and culture here; there is an incredible ambience to feed into the creative machinery. There is a niche to be explored and occupied, as a creative writer, if necessary. PREMIUM TIMES: You have travelled around Nigeria and the world, how would you describe the unsatisfactory state of affairs in Northern Nigeria and in Nigeria as a whole? Abubakar: I am generally not satisfied with the state of affairs in Nigeria as a whole, not just Northern Nigeria. The poverty that is gnawing at Nigerians is not exclusive to the North; the failure of government at all levels is not particular to the North. And I certainly don’t limit my thinking to the North. I am not happy with the state of the country and even though the leadership of the country, and the leadership of the North, in its many fractions, has failed, I feel the blame rest more with the followership. It is the followership that lauds the thieving, corrupt leadership because they throw crumbs their way. It is the followership that attacks you for asking questions of the leadership, for demanding accountability and justice. It is the followership that lets thieving politicians get away with stealing funds meant for building health facilities, only to run to this person’s house to receive small change to buy fake drugs from pharmacies. It is the followership that expressly demands their leaders steal public funds to give them “stomach infrastructure”. The leaders of this country are not foreigners, they come from amongst us, they are a product of this society and when they misbehave, we go on social media and rant, while some of us go to their houses, sing their praises and collect chicken change so we can fight the people asking questions. Until we learn to demand better from our leaders, we will always be treated to the worst by these leaders. No one has ever built anything great on crumbs that are thrown down to them. When a politician uses public funds to buy buses for the public and prints his name on these buses as if he is doing you a favour and you line the street to hail him instead of demanding for his resignation, you are the problem with this country. No great country has been built on celebrating mediocrity. Unfortunately, in Nigeria, mediocrity reigns supreme. I am not happy with the state of the country and even though the leadership of the country, and the leadership of the North, in its many fractions, has failed, I feel the blame rest more with the followership. It is the followership that lauds the thieving, corrupt leadership because they throw crumbs their way. PREMIUM TIMES: Do you consider yourself a politically committed writer? Abubakar: Politics annoys me a lot. The insincerity and deceit is just something I can’t deal with. I have little patience talking about politics. I can’t understand why people are not outraged by all the rubbish going on in this country or how people mortgage their future for a plate of rice and a piece of rotten chicken. I can’t understand how people can defend the criminality and outright thievery that is being perpetrated in this country in the name of politics. And sometimes, you expect the intellectuals to lead the charge, but they scream and rage and write columns in newspaper and as soon as they get appointments in government, they change their tunes. PREMIUM TIMES: Who are your favourite authors, from the ancients to the contemporary? Did any of them influence your first work? Abubakar: I have many favourites. I have favourite books, more than favourite authors. From the ancients, you look at the works of my namesake, Abubakar Imam, who wrote in Hausa. You look to the styles of Anthony Hope, or Michael Ondaatje, or John Banville, Gabriel Garcia Marquez, Arthur Golden. These are some of the names I can remember just off the cuff. You read new works every day and are inspired differently. No writer is free of the influence of other writers but I have always been particular about being original, being true to my voice and my way of storytelling. PREMIUM TIMES: Ikhide R. Ikheloa has described Season of Crimson Blossoms in the following terms: “Ibrahim is a serious thinker-writer but he can be subversively funny. His characters are not idiots and Africa is not a fly-ridden place. He creates thinking characters who actually read. In an African novel. Wow. There is a quiet and reassuring dignity to his sentences. San Siro, the setting in Northern Nigeria is a place where school “was no more than a couple of raffia mats spread out under the ancient tamarind, on which a black board leaned.” And yet, it doesn’t conjure grinding poverty.” Do you consider this a felicitous representation of your achievement in your debut novel? Abubakar: There is poverty in Season of Crimson Blossoms, and there is affluence as well, just like there is in real life. But the focus is not on poverty or affluence, or violence for that matter. The focus is on the human condition, the people and their stories. Of course I did not want to write for the western gaze where poverty and violence become characters on their own in the “African story;” where they become the central focus. I wanted to write about people who live their lives in spite of poverty, or affluence and violence, as we do live our lives in reality. It will be hypocritical to completely ignore these things in the book because they do exist and co-exist in the society that I write about. But despite the poverty and the affluence, these are characters with dignity and honour and integrity and that is the basis of the story really. The affair at the centre of the novel, between Binta Zubairu and Hassan Reza, even if it is a private affair, is poking a finger at these societal ideals of integrity and honour and the society fights back. So yes, I guess you could say that is a fair representation of the work. PREMIUM TIMES: You have been familiar with the fictional works of your fellow nominees for the NLNG Nigeria Literature Prize, Elnathan John and Chika Unigwe. What are your views on Born On A Tuesday and Night Dancer? Abubakar: I think they are good books. Elnathan and Chika have been furthering the renaissance of Nigerian literature and I am delighted and honoured to share the podium with these two amazing writers and friends. PREMIUM TIMES: Many people might agree with Chimamanda Ngozi Adichie’s statement that “I think we don’t have as many stories coming from Northern Nigeria as we do from Southern Nigeria, and if we are going to make any sense of Nigeria as a nation, we need more stories…More human stories.” Do you really think Northern Nigeria has not measured up in literary and artistic production? And, what could be responsible for this – religion? Or, the generally low literacy level in the region? Abubakar: I am glad Chimamanda also thinks there is an imbalance in the Nigerian narrative. But the reality is that literary and artistic production in the North has always been high when you consider the sheer number of literature produced in Hausa. For centuries, Northern Nigeria has written to itself; what it hasn’t done is write to others about itself. Before the advent of colonialism and the English language, there has been a massive amount of literature about Northern Nigeria produced in Arabic and in Ajami, which is a system of using Arabic alphabets to write in Hausa. Magana Jari Ce was published in 1933, long before Achebe and Ekwensi wrote and published anything. The problem is that many people haven’t been able to access this literature because of the language barrier. So when Cyprian Ekwensi wrote about the North in remarkable books like The Burning Grass, like The Passport of Malam Ilia, like Juju Rock and his other books, he opened up a new world to readers in English. What he also ended up doing was to romanticise the North, create the impression of the North as a haven of adventures. And in the excitement of all these, the human stories fell through the cracks. We have had other writers like Abubakar Gimba and Zainab Alkali who wrote in English and tried to address some of these issues. I am not talking about the academics who wrote books merely for the consumption of their students, who in all honesty didn’t have a choice but to read these books because their grades depended on it. For the narrative balance to be addressed, we certainly need to have more human stories from this part of the country, but they have to be of a certain standard that they will resonate not only with readers in Nigeria, but with readers elsewhere. PREMIUM TIMES: On a very personal note, this must be the second time you have been nominated for a major prize. You came close in the last one. The NLNG Prose Prize is being awarded for the third time since its inception in 2004, twelve years ago. Do you have a feeling that you will be lucky on your second stint as a nominee? Abubakar: It is an honour to be shortlisted. But there is no saying what could happen. My feelings about the prize hardly matter and the final decision rests with the judges. As a writer, what I could do was to write what I hope is a good story and for people to read and relate to this story; and I am happy people all over the world have connected to these stories and the characters. Of course, it will be great to win the prize, but I am not obsessing over it. Whatever would happen will happen eventually. PREMIUM TIMES: Will winning the NLNG Nigeria Literature Prize 2016 support your ambition to be a fulltime writer? Abubakar: I guess we will find this out if I win. Like I said, I am not obsessing over it. It would be a folly to build castles in the air, won’t it? This is the final of the four-piece compilation by Contributing Editor on Arts & Culture, Chiedu Ezeanah, which include a “Prologue”, and interviews with Chika Unigwe, and Elnathan John.